A family law attorney has three duties when it comes to helping you separate your marital property. First, attorneys have to characterize the property. Characterization is a determination of whether the assets were earned and/or accumulated during your period of marriage, or whether the items were purchased before or after your marriage. 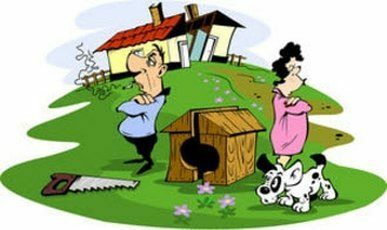 This is the primary concept of community property and separate property. What you had before your marriage remains your property so long as you can prove your ownership, the value, and if you can prove that the item was not expended during the marriage. Items received as gifts or inheritance directly to a spouse(and not to both spouses) can also be deemed as separate property. Each item, especially houses,retirement accounts, and investments should be reviewed and characterized by experienced attorneys. Once the various property is characterized, the property must be valued. Some things are easy to value. I dollar in your wallet or bank account is worth a dollar. However, a dollar in a retirement account or investment is not worth the face value. Why you ask? Well if you want a dollar from your retirement account, you will need to pay taxes on that dollar. Retirement accounts may penalize you if your take out funds before retirement age. Further, investment accounts and real estate fluctuate. How do you know you are placing the right value on your home, your car, or____________(fill in the blank). Family Law attorneys can help you find appraisers where needed and to value your assets. Once your assets and debts have been characterized and valued, it is time to divide the property.Experienced family law attorneys can broker deals, assist with reimbursement issues, and get each party get a fair result under the law.